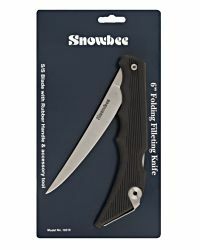 This a great Folding Filleting Knife from Snowbee. It has a high quality 6" blade, a rubber handle and a fold out descaler and kidney blood removal tool. All you need for filleting when out and about, or even just at home. 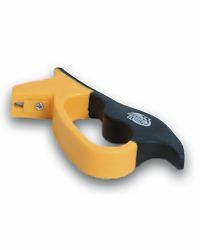 - The blade locks open to prevent accidental closing on fingers. - A textured rubber handle with curved finger grooves for a secure grip, even when wet. - A fold out stainless steel descaler and kidney blook removal tool.